Last year to celebrate Doreen Cronin's birthday we made "Diary of a Worm" dirt pudding and went to a worm composting workshop at the Cleveland Museum of Natural History. 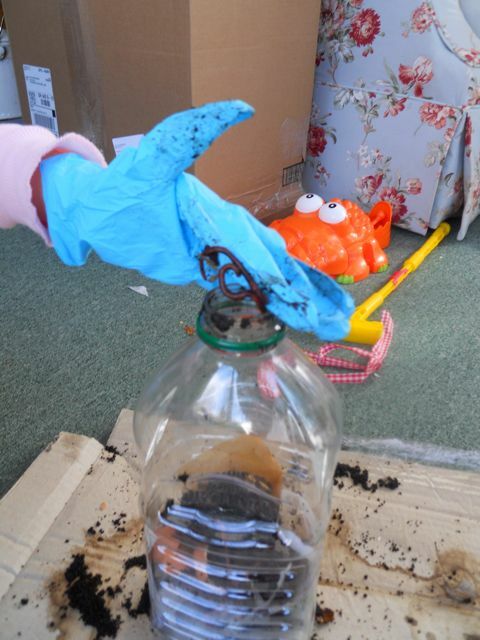 The staff at the Smead Discovery Center taught us how to make a worm bin for ten lovely Red Wiggler worms. 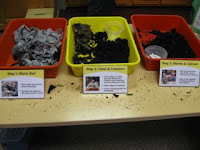 Amazingly, I can provide an update on our composting worms that we acquired at the workshop! They are doing quite well and are multiplying. As Worm from Diary of a Worm says, "When we dig tunnels, we help take care of the earth." Well, these little worms are working hard to break down our kitchen scraps which we then use the castings in our garden as a natural fertilizer! 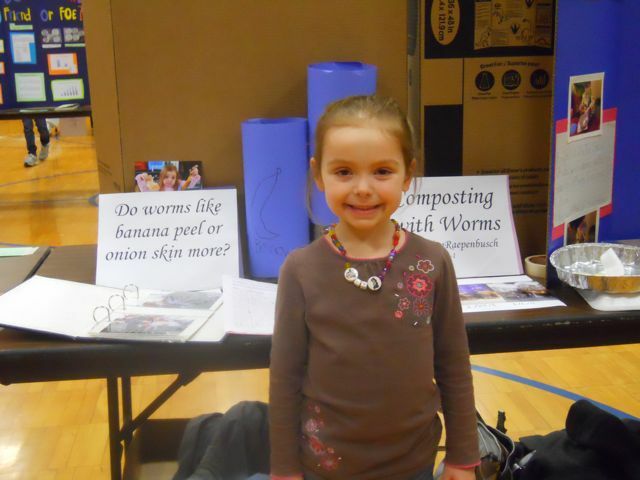 My daughter chose to participate in the Science Fair at her school this month to answer the question, "Do worms like to eat onion skin or banana peels better?" 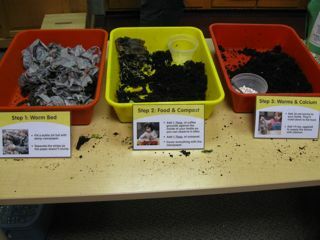 We set up the experiment using the knowledge we acquired from the worm composting workshop at the museum. First, fill a juice container or 2 liter bottle almost half way with damp strips of newspaper. 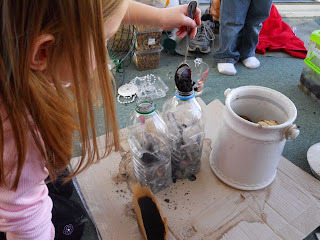 Add a few spoonfuls of cool, used coffee grounds. 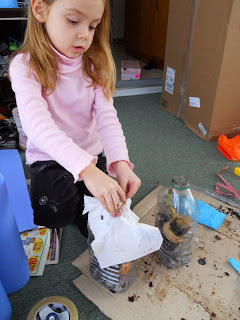 Crush up a rinsed egg shell and add that to the bottle. 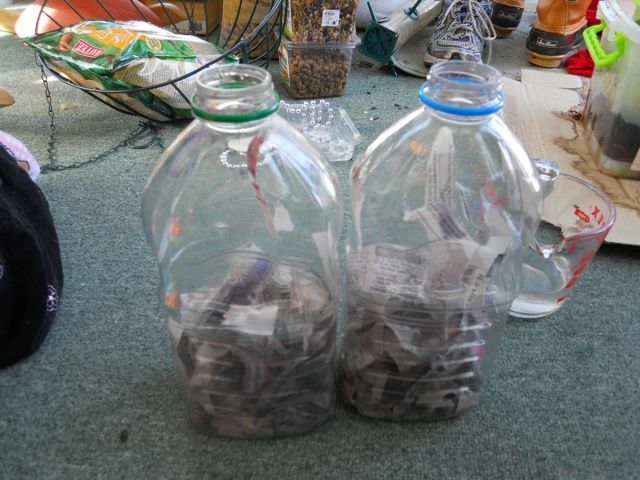 Acquire about 10 red wiggler worms! I have read that earthworms will not survive in this environment. Add some worm poop! Yes. 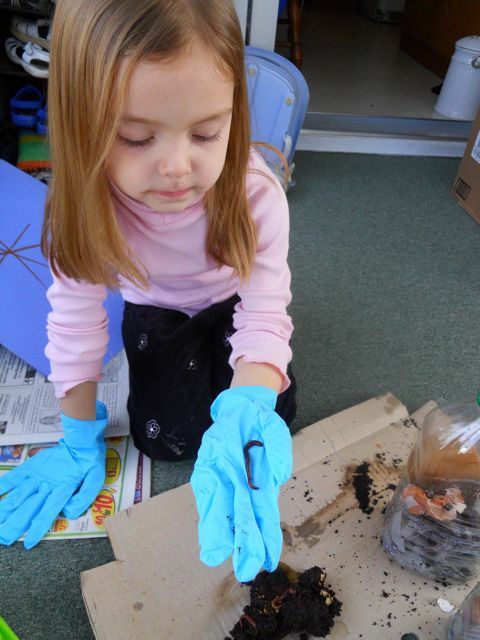 We had some from our larger worm bin. These worms are from the original group we acquired at the museum! My daughter wanted to find out if they liked onions or bananas so we added those to the bottles too. 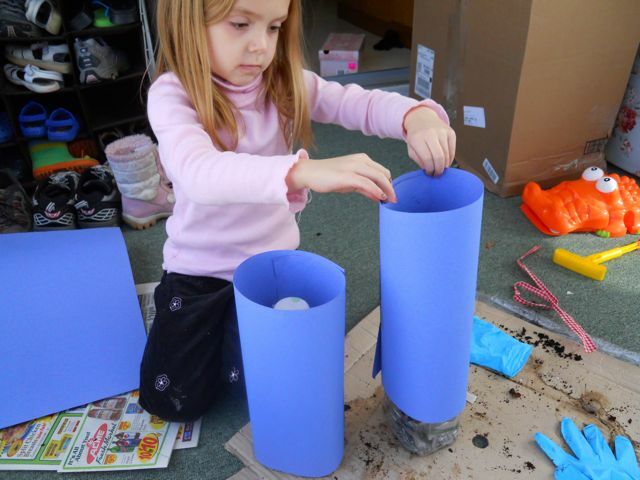 Cover the hole with a paper towel and rubber band. Wrap the bottles with construction paper so it is nice and dark. and used a spray bottle if needed. 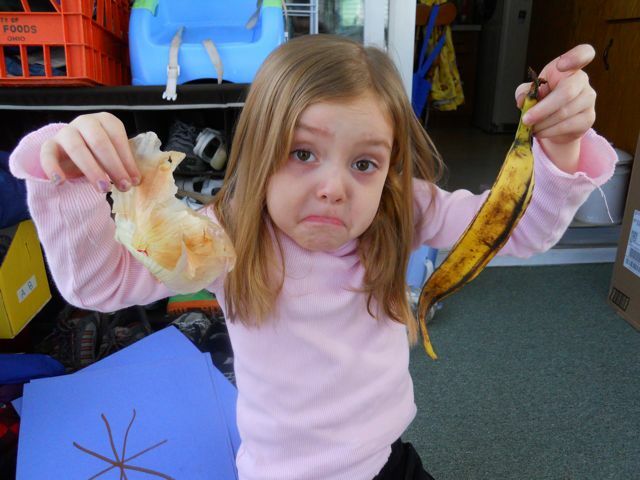 She found out that the worms liked the banana peel better. You could also try lettuce, apple skins, etc. 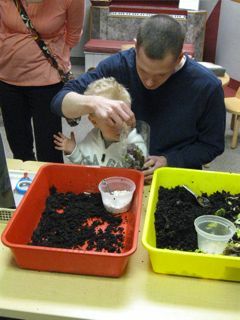 If you are interested and live around Cleveland, Ohio the Cleveland Museum of Natural History is once again hosting the worm composting program on Wednesday, April 20 from 10am - 3pm! Click here to read more about the program. Spring time is here - well, at least according to the calendar. It is 39 degrees in Ohio as I write this post. 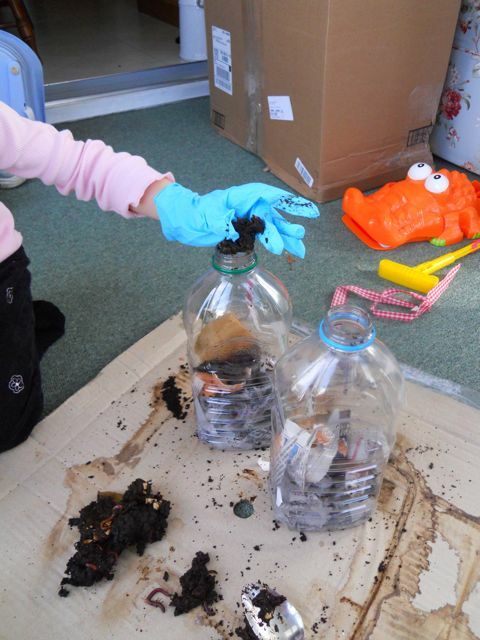 It is time to clean up the yard, prepare the garden, and tidy up the flower beds. For my son, it means time to play in the dirt, aka "muckity-muck". He loves to be outside and loves to try to find worms! So you probably wouldn't be surprised to find out that he loves the book Diary of a Worm by Doreen Cronin. Actually, my daughter loves this book too. Diary of a Worm is written from the viewpoint of a young worm named Worm. He writes in his diary about advice he receives from his mother such as digging tunnels takes care of the earth. He describes significant happenings at school like when he ate his homework because he was hungry. Worm and his best friend, Spider, have lots of fun including the time when Spider tries to teach Worm to walk upside down. The book is "laugh out loud" funny. My favorite part is when Worm makes fun of his sister by saying to Spider, "No matter how much time she spends looking in the mirror her face will always look like her rear end." In addition to the great text, the illustrations by Harry Bliss, a cartoonist, are vivid and eye-catching. Diary of a Worm was the first in a series of three books by Cronin that are written in the form of a diary. The other titles are Diary of a Spider and Diary of a Fly . The main characters in these next two books, Spider and Fly, are friends of Worm. Worm introduces readers to Spider in his diary. Then, Spider introduces readers to Fly in his diary. Fly and Spider's relationship is unique, since spiders usually eat flies. Spider's grandfather points out the spiders and flies didn't get along in his day. These books complete a great trilogy that belongs in any home library! The books are entertaining and even teach us a little about worms, spiders, and flies (I didn't know that flies beat their wings 200 times per second). Diary of a Worm and Diary of a Spider are also available on DVD. 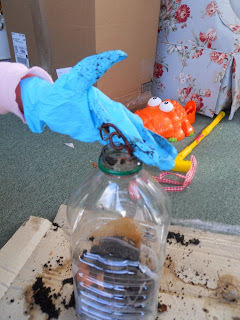 Instead of a birthday cake this week, we made "Diary of a Worm" Dirt Pudding. All we needed was instant chocolate pudding, milk, crushed oreos, and gummy worms. 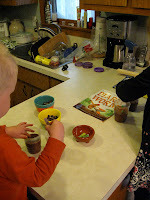 First, we made the chocolate pudding according to the directions. Next, we allowed the pudding to set in the refrigerator. 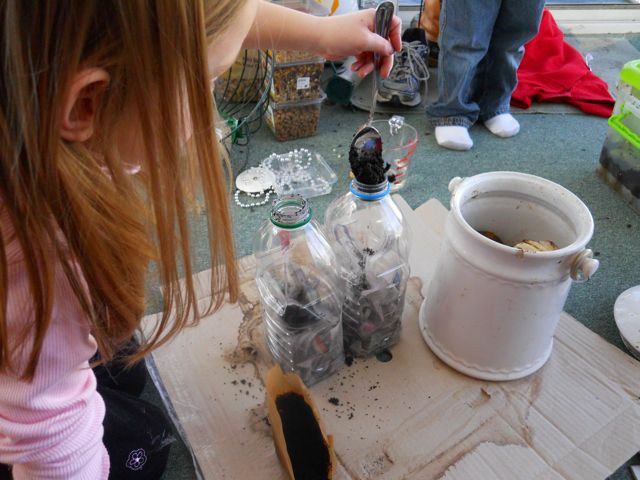 Then, we pushed worms into the pudding and added the crushed oreo cookies on top. Yummy! Click, Clack, Moo: Cows that Type was Doreen Cronin's first book. Cronin wrote the book while she was in law school, during a sleepless night after her father passed away. It only took her 20 minutes to write, but it was was not until five years later that it was published. This book was a Caldecott Honor Book in 2001. The illustrations for this book and all the books with her farmyard friends are by Betsy Lewin. Click, Clack, Moo and its sequel, Giggle, Giggle, Quack are available on DVD. I loved and still love to read ABC and 123 books with my kids. Doreen Cronin has written one of each that star the clan from Click, Clack, Moo. Click, Clack, Quackity-Quack: An ABC Adventure tells the story of Duck organizing a picnic away from the farm. Click, Clack, Splish, Splash: A Counting Adventure is about the animals saving ten goldfish from Farmer Brown's fish tank while he takes a nap. We just read these books before bedtime the other night. These books would be great candidates for a "picture walk". Talking about the pictures before reading would have helped us understand the story better. We ended up having to go back through the book after reading to catch all the little details in the illustrations that weren't mentioned in the text. Check out Cronin's latest book Rescue Bunnies. Click here to view the book trailer. 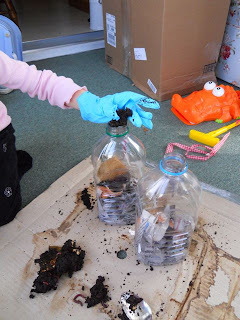 very informative` educational blog, love it! following on gfc and fb, am also an ohio residents and educator/ parent come visit lifeasamomnwife onblogspot. thanks.pm black. Wow. 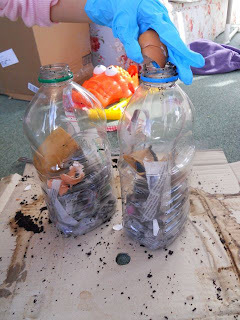 What a project with your daughter! My two daughters are fascinated by worms, so I know they'd love this if I only had the energy to help them implement it :) Glad you found out that the worms like banana peels better than onion skins. Sounds like they have good taste!